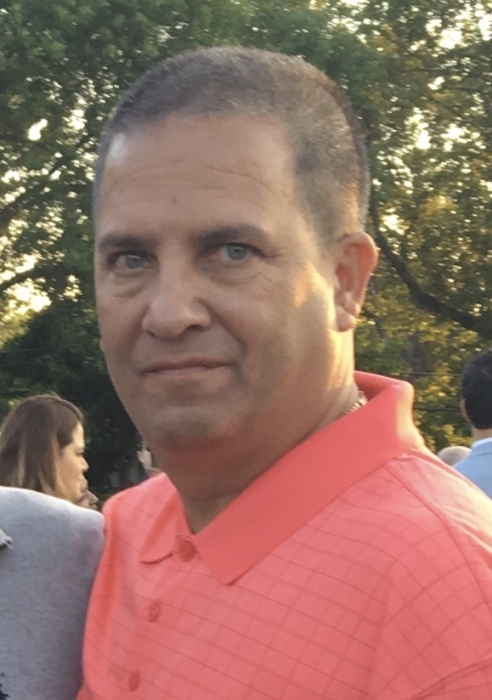 Pasquale M. Martirano “Pat”, 55, of Florham Park, passed away peacefully surrounded by his family on January 23, 2019. Pat worked over 20 years as a Sales Representative for Martindale Hubbell in New Providence. In his spare time, he was an avid sports fan and dedicated his life to his family. Beloved husband of 22 years to Patti (Cassidy) Martirano. Devoted father to his pride and joy, Michael Martirano. Cherished son of Angela (Mavila) Martirano, Michael Martirano and his wife Norma. Dear brother of Josephine Tutela, her husband Ronald, Melissa Dandola, her husband Nick, and step-brother Anthony Fernicola. Loving uncle of Jacqueline, Daniella, her husband Elsner, Ronnie Michele, Nicky and Aiden. Also survived by many cousins and dear friends. Visitation at the Leonardis Memorial Home 210 Ridgedale Ave. Florham Park on Sunday from 1-6pm. Funeral on Monday assembling at the funeral home at 9am followed by the funeral mass at Holy Family Church in Florham Park at 10am. Interment at Gate of Heaven Cemetery.